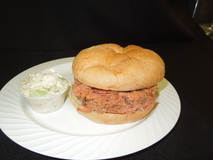 We are a Southern Maryland restaurant and carry out that provides on site as well as carry out catering. Our BBQ is slow cooked on sight with hickory wood for 14 to 18 hours to obtain that perfect BBQ taste, afterwards we add our signature sauces to enhance the flavor of each meat. 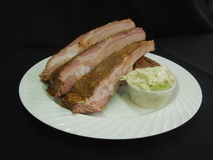 Our ribs are hand rubbed with our in house blend of spices and smoked 4 to 6 hours .Our beef is top round marinated 24 hours before being smoked for 6 to 7 hours. Our chicken and turkey are spiced with our in house blend and smoked for 5 to 6 hours to get that mild flavor. 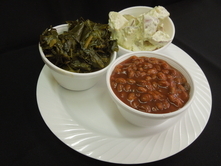 We make sides in house from our coleslaw to our collard greens which are selected from the freshest produce available. Old Town Cafe and BBQ takes pride in using top grade ingredients and we hand select and test all products before we serve them to our customers.